Download All Tecno Mobile Phones Flash File (Firmware | Scatter File | Stock Rom | Custom Rom ). How To Flash Tecno Mobile Phones ROM With Ease Using SP Flash Tool [Tutorial]. Extract The Folder, Locate and Launch the Flash Tool. Click On Scatter Loader Button. Select The Scatter File (Firmware | Stock Rom | Flash File ) Of The Device You want to Flash. Before You Click The Download Button. From The Dropdown Menu Of The Flash Tool Select Either Download Only, Firmware Upgrade Or Format + Download. Switch The Device you wish to flash Off and Connect It To Your PC. Initiate the flashing process with the download button. When The Flash Process is Complete, disconnect and Reboot The Device. Learn More about Using SP Flash Tool, Infinity-Box and other repairs Software to Unbrick, Unlock, Upgrade or Downgrade Tecno Mobile Device Android OS. 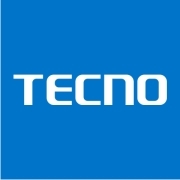 Tecno Mobile is a subsidiary of Transsion Holdings, a Chinese base Mobile Phone manufacturing Company founded in 2006 in Hongkong. The Company holds a huge market share in Africa with Nigeria as its most viable market. It smartphones hardware is predominantly powered by MTK (MediaTek) processor while it runs Android codenamed HiOS as its core Operating System. Itel Mobile and Infinix Mobile are also subsidiaries of Transsion Holdings, the company is well known for its low end smart and Feature phones.